Andrew Declue has joined Robinson Construction as an IT Assistant. In this role, Andrew is responsible for assisting the IT department in keeping all computer equipment running smoothly, ensuring computer users are able to interact with this equipment successfully, data management, and computer system maintenance. Andrew is from Barnhart, Missouri and attends ITT Technical Institute in Arnold, Missouri, where he earned an A.S. in Network Administration and is currently working toward a B.S. in Information and Cyber Security. 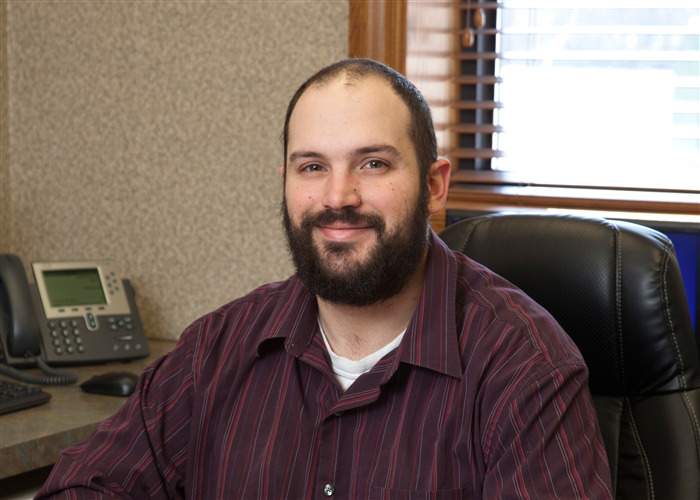 Prior to joining Robinson Construction, Andrew worked for a contractor at Ameren UE where he was a quality control foreman over Ameren’s pole inspection/replacement programs. 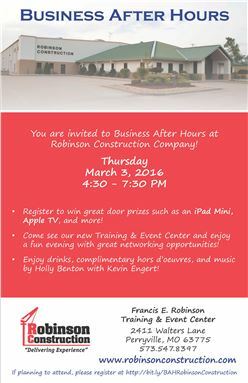 Join Us for Business After Hours on Thursday, March 3rd!